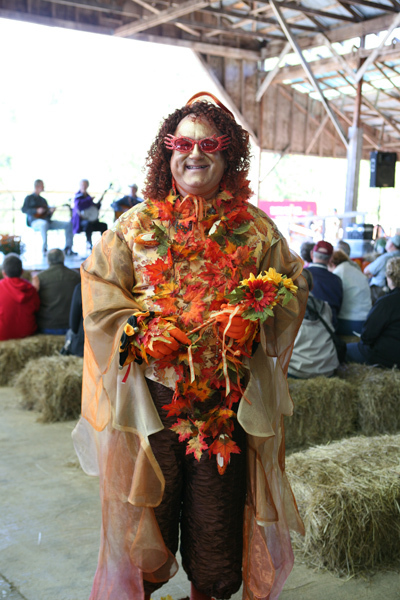 Betsy Henn Bailey celebrates her 36th year as a Fall Festival vendor and artist. 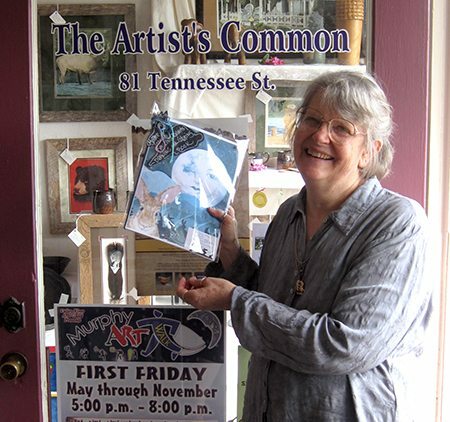 A local artist and teacher in the Brasstown and Murphy area for over 40 years, Betsy has had a great influence on art and culture in our community. 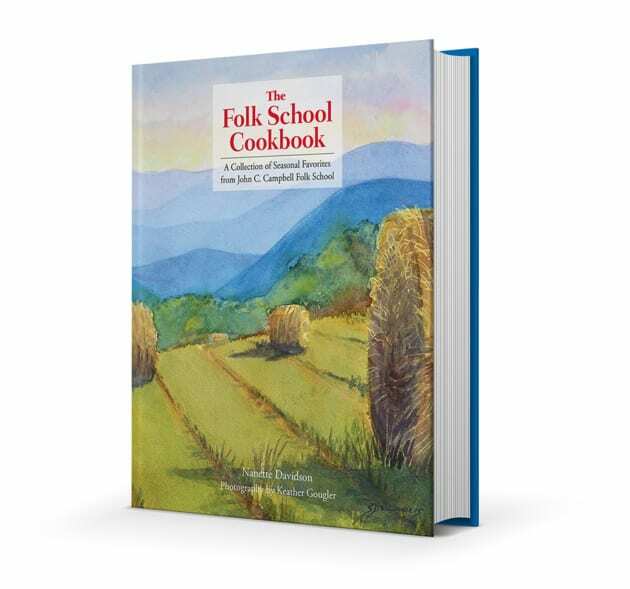 The week before the 39th Annual Fall Festival I talked to Betsy about the festival, her art, and her Folk School memories. 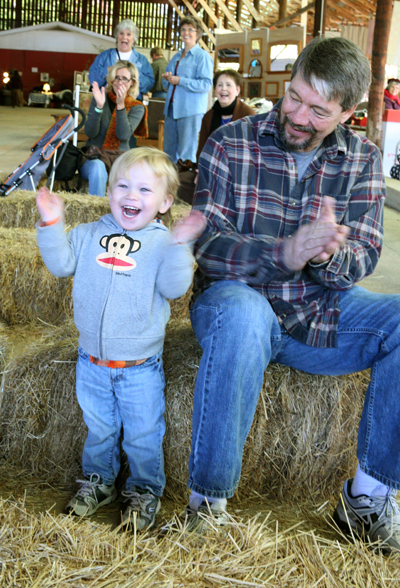 We had a wonderful time at the 38th annual Fall Festival, and we hope you did, too! 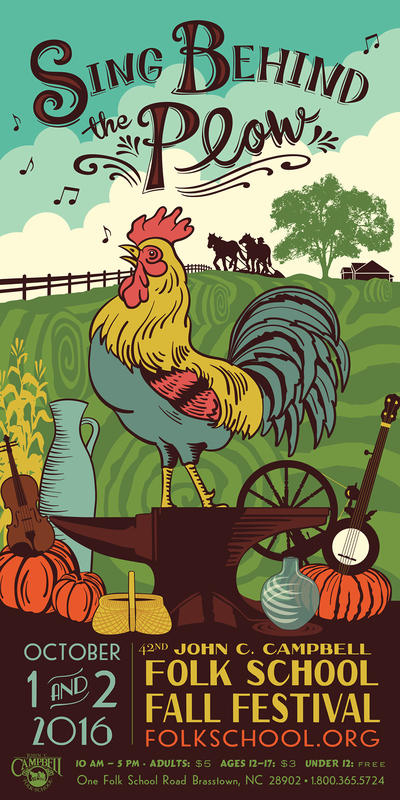 Thanks to everyone who came out last weekend to enjoy perfect fall weather, highest quality craft, food, music & dance performances, and craft demonstrations. We are happy to report a record breaking attendance; over 14,000 folks showed up over the weekend! 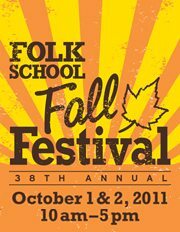 Special thanks go out to all our volunteers who helped make Fall Festival run smoothly. 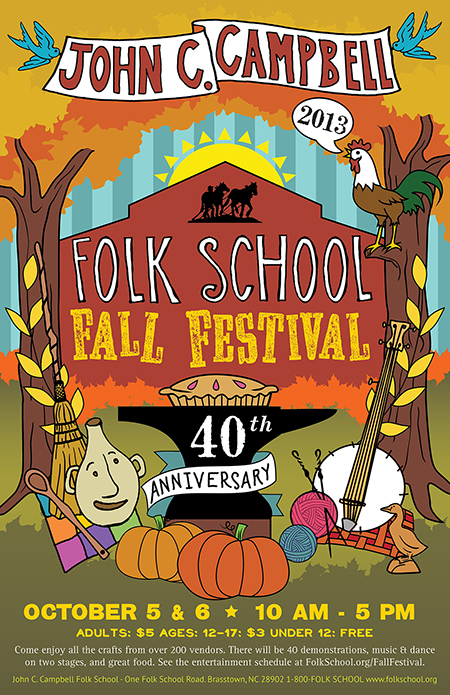 Thirty-eight years ago, the very first Folk School Fall Festival was held by Open House beside the large fields. 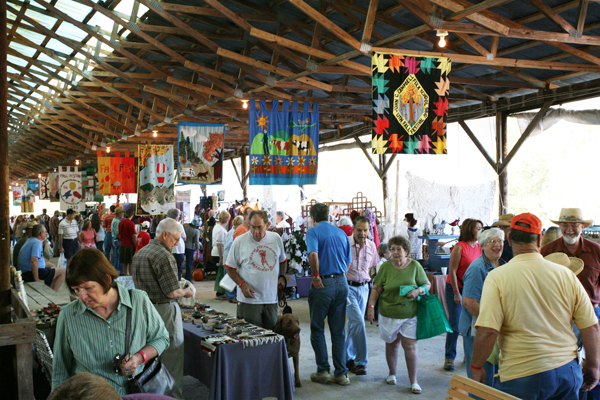 Gus and Maggie Masters, then directors of the Folk School, were enamellists who were used to selling their art at shows and festivals. 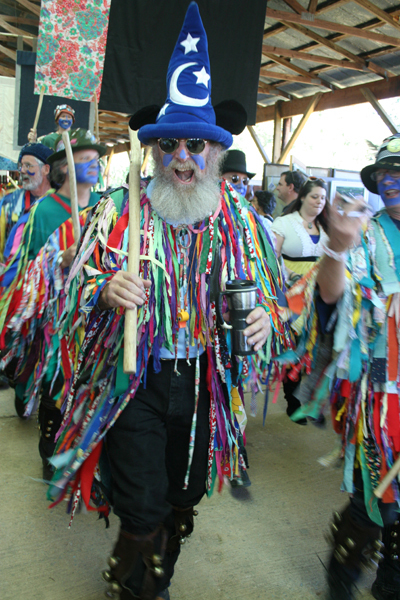 So they simply brought to the Folk School and local artists a festival of our own! 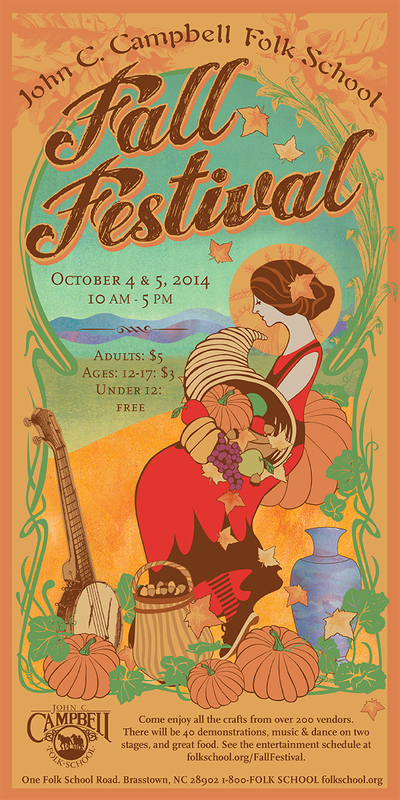 It’s here… the schedule of music and dance performers for Fall Festival. We’re looking forward to hearing and seeing old favorites, as well as some new talents! 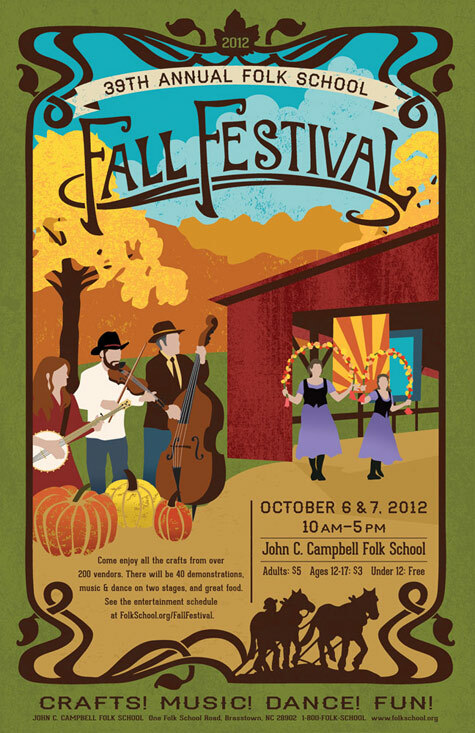 Mark Your Calendars for Fall Festival!